OUR MISSION STATEMENT: Building faithful disciples, serving Jesus Christ. WORSHIP SERVICE TIMES: Sunday mornings 8:30 and 10:45 a.m.
Special service times scheduled for Easter Sunday and Christmas Eve. 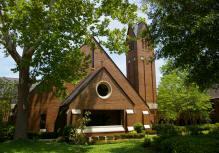 Madison UMC began in 1864! The first Sanctuary, built in 1930 was named the Susan L. Montgomery Memorial Church. The present Sanctuary and Fellowship Hall were built in 1988 and the church’s name was changed to Madison United Methodist Church. The Montgomery Church building became the Chapel. The Christian Life Center was finished in 1997 and the Antique building adjacent to the parking lot was purchased and renovated into the Administrative offices in 2000. The Education Annex provides space for a library and meeting rooms for Sunday School classes and Scouts. Preschool and After School Care programs are sponsored by Madison UMC and follow the school year calendar. They began in 1990. Our Education Building with a Kids Suite, Student Ministry Suite, Atrium and Multi-Purpose Room was completed in 2016. 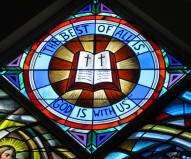 Madison UMC is a vital presence in the community dedicated to service to God and God’s people.